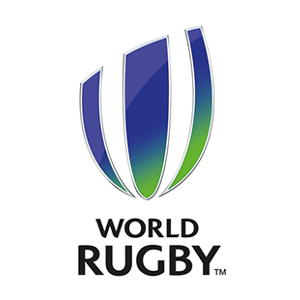 London - World Rugby has announced details of an increased investment into Fiji, Tonga and Samoa in co-operation with Pacific Rugby Players, the body representing players in the region. As the Pacific teams tour the northern hemisphere for the November window, World Rugby have confirmed that direct and indirect support for the unions and their national teams is estimated at more than £20 million for the current four-year cycle 2016-19, up 19 per cent. The enhanced investment is targeted towards the respective high-performance programmes and Rugby World Cup 2019 campaigns of the three unions, aimed at closing the performance gap to the top-ranked teams ahead of Japan 2019. The investment includes significant support for world-class coaching and technical advisors and improvements in strength and conditioning, sports science and medicine. It also includes a range of player welfare initiatives, in partnership with Pacific Rugby Players, the official representative body of the players of Fiji, Samoa and Tonga and a member body of the International Rugby Players' Association (IRPA). In addition, the investment not only supports the senior national team fixtures but also the A-team, academy and under-20 programmes to enhance the sustainability of the unions’ high performance programmes. Specifically, for the November tests, the funding programme includes all player insurance costs, squad assembly costs including flights to Europe from each of the Pacific Islands and internal flights across the window. For example, the total investment (direct and indirect) managed by World Rugby for the benefit of Samoa will top £1.5 million in 2017. World Rugby General Manager, High Performance Peter Horne said: “In the 2016-19 cycle, World Rugby will invest an estimated £20.3m in programmes for Fiji, Tonga and Samoa which is an increase of 19 per cent on the last cycle. “This programme is reaping benefits with the outstanding performances of the Flying Fijians this year as well as the World Rugby-funded Fijian Drua, competing in Australia’s National Rugby Championship as a pathway for local players. Tonga’s win against Italy last November was a big push towards their Rugby World Cup 2019 qualification and we’d love to see similar results from them and Samoa this November. “As we work towards RWC 2019, we need to ensure the three Pacific Island teams are as competitive as possible and this increase in world-class staffing and support will really benefit the squads." Pacific Rugby Players board member and former Samoa captain Seilala Mapusua said: “We are delighted to work in partnership with World Rugby on player welfare initiatives for Pacific Island rugby players. Through this partnership, we have a powerful approach to player welfare that allows us to make meaningful difference and have a long-term impact for the benefit of Pacific Island players. “A strong player association in the Pacific region is important and we have the support and buy-in of all men’s and women’s elite teams in Fiji, Tonga and Samoa."